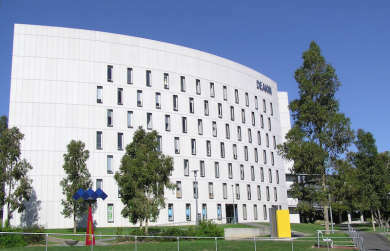 Deakin University, established in 1974, is named after Alfred Deakin, a three time Prime Minister of Australia and a dominant figure of Australia's first decade as a nation. Deakin University has four campuses in Melbourne, Geelong and Warrnambool. From its beginnings as one of Australia's first 'distance education' universities, Deakin has embraced the technologies of the time in research and in the design and delivery of its courses. Deakin University is home to the Alfred Deakin Prime Ministerial Library and the Alfred Deakin Institute for Citizenship and Globalisation.